hey good luck with yr course! hope things go well for you, dont worry in a few months things will be sorted! 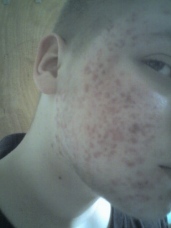 You're skin will improve SOO much with accutane! Don't worry! Keep your head up and good luck! Update monthly so we can track your improvement together!